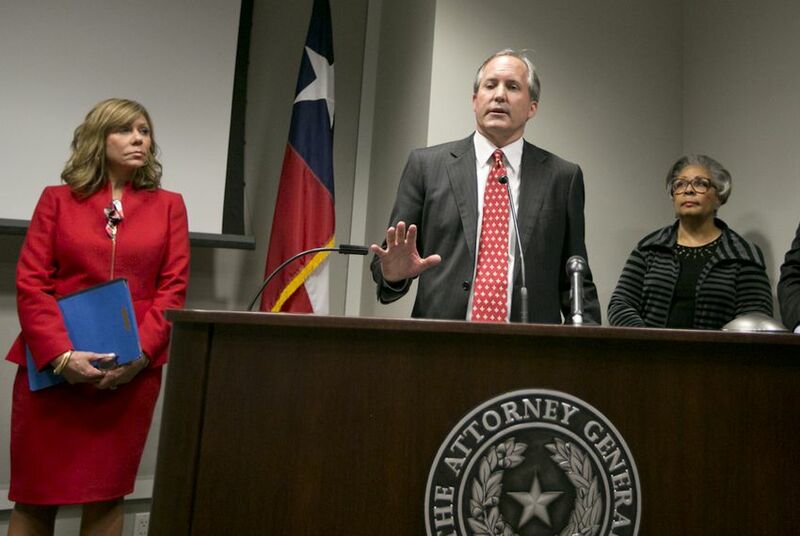 Lawyers for Attorney General Ken Paxton argue the U.S. Securities and Exchange Commission is scrambling to save its civil securities fraud case against him. Paxton is headed to trial in May on similar criminal charges at the state level. Lawyers for Texas Attorney General Ken Paxton say the U.S. Securities and Exchange Commission cannot "shoot first and investigate later" as they seek to block 15 new subpoenas issued by the SEC. The new subpoenas, issued Tuesday, largely seek communications Paxton may have had with any other investors in Servergy, the North Texas start-up whose investors Paxton is accused of misleading from a period before he was elected Texas' top law enforcement official in 2014. "The SEC cannot now attempt to bolster its faltering case … by fishing around in discovery for information about other potential investors whom the SEC has not pled with any particularity that Mr. Paxton defrauded,” Paxton’s lawyers wrote in their latest filing. A judge dismissed the SEC’s charges against Paxton in October, but the commission rebooted the case two weeks later by filing amended allegations. At the heart of the latest round in the case is whether the Severgy investors Paxton recruited comprised a formal "investment group," requiring Paxton to disclose that the company was paying him a commission. The allegations date back to 2015, when a Collin County grand jury indicted Paxton on criminal charges related to the Servergy deal. This week, a judge scheduled that original state case to begin trial on May 1. Last month, Paxton was zeroing in on state Rep. Byron Cook's credibility in a new push to discredit the latest federal civil fraud allegations against him. Use this timeline to to keep up with Paxton's legal and political drama.